I inherited a couple of blackcurrant bushes when I took on my allotment. 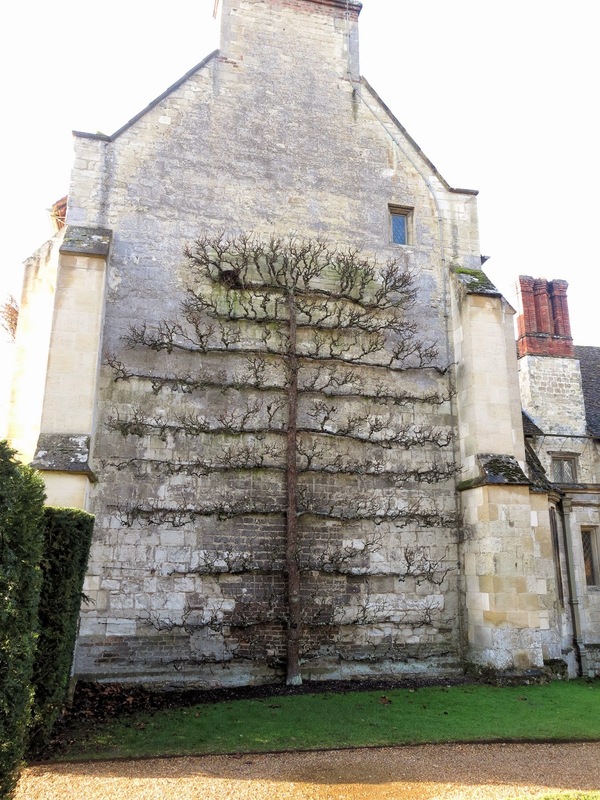 They were there already, flourishing and providing heavy crops of fruit each year without fuss. This means I never went through the process of researching varieties, which types might give the best fruits, or be the most pest-resistant. 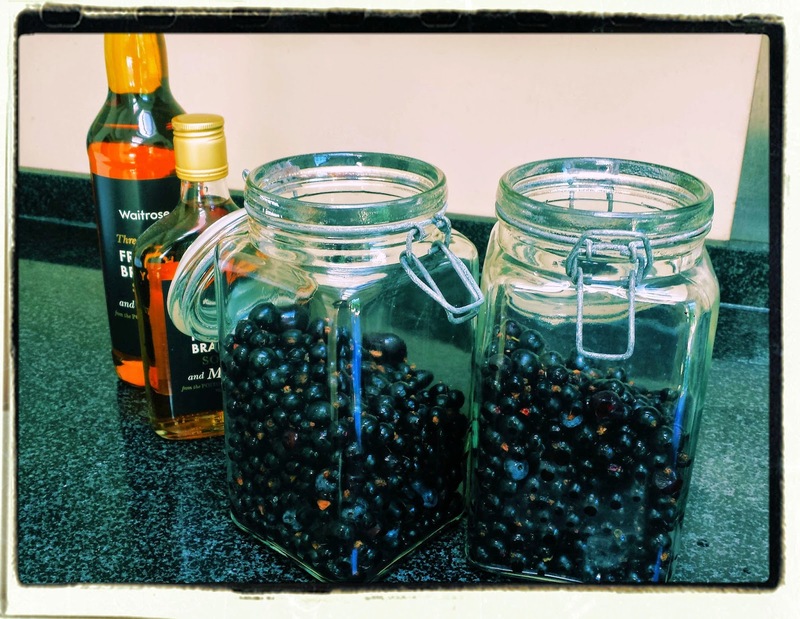 I just left them well alone and enjoyed the resulting blackcurrants, fresh from the bush, made into sorbet, and best of all, turned into crème de cassis (above). This state of blissful ignorance also meant that I didn't spot that my bushes were falling prey to a mite known as 'big bud' (or Cecidophyopsis ribis, to give it its proper name). 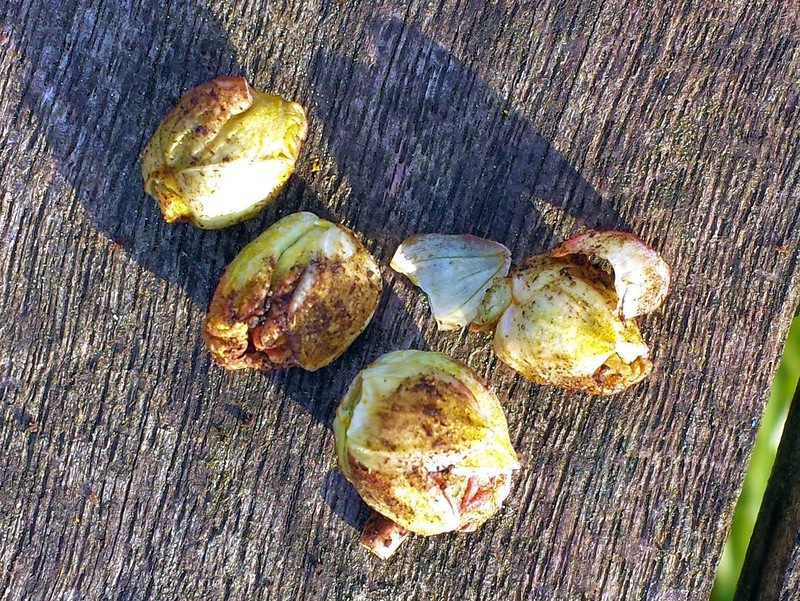 Or rather, I did spot it, but happily imagined that the swollen buds were just getting ready to burst forth with new leaves, rather than harbouring a wee pest. Inside each of the enlarged buds is a colony of big bud mites, microscopic creatures which feed on the sap in the developing leaves. 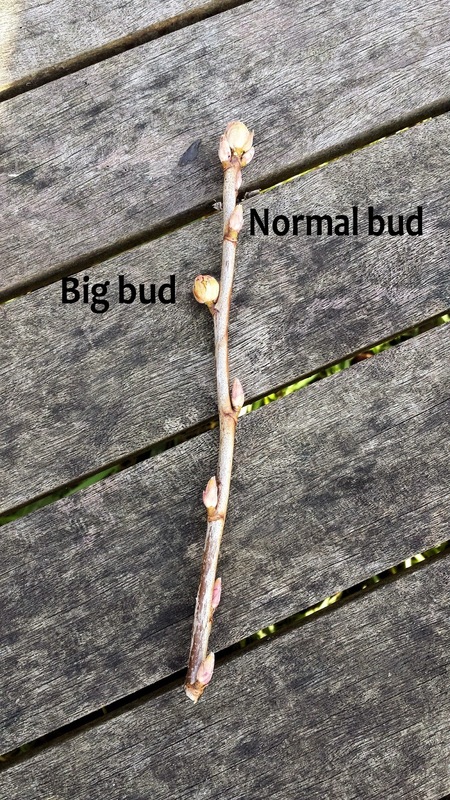 Big bud does what it says on the tin: the winter buds are round and bigger than the unaffected ones, which are tight and oval. To the uninitiated (OK, maybe just me), the affected buds can actually look healthier. The big bud mite won't kill off your blackcurrant bushes, but the swollen buds won't open and so will stunt the growth of the plant. Big bud mites are also responsible for spreading reversion virus in blackcurrants which will severely reduce the amount of fruit the bush produces. The mites can also inhabit red and whitecurrants and gooseberries, though without causing the characteristic 'big bud' for which they're named. Once it has taken hold, big bud can be difficult to eradicate. In summer, they will emerge infest new buds. They can be blown on to your bushes by the wind, but they are only really noticeable in the winter when you can clearly see the enlarged buds. There aren't any chemical sprays available to the domestic gardener which will be effective, and anyway, this seems like an overreaction; it's not as if the plants are in imminent danger of collapse. In the longer term you may have to replant your blackcurrants if/when they develop full-blown reversion virus. 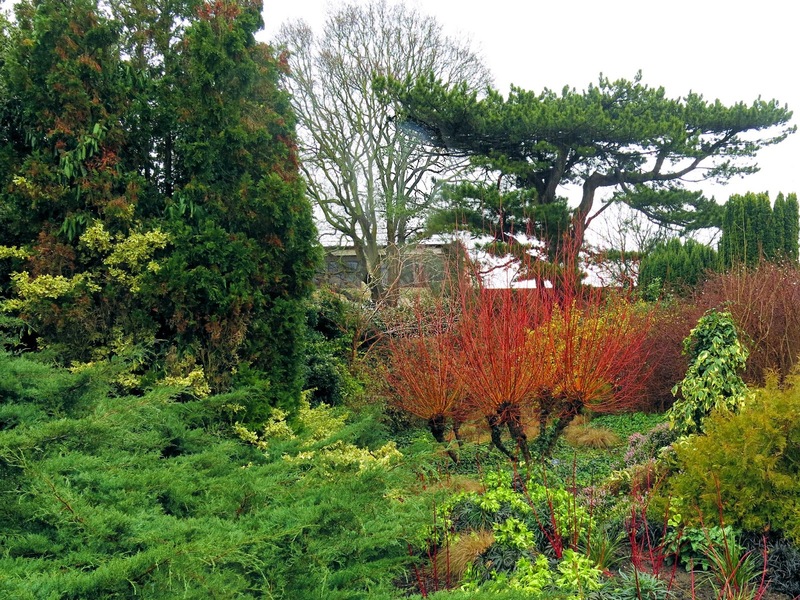 In the meantime, it's not too onerous to check the plants a few times over the winter, removing the big buds by hand, and can be done at the same time as pruning. Just don't drop the big buds and lose them in the undergrowth. One is advised to burn rather than composting as well, to ensure that you don't end up breeding more bug bud mite colonies. Even though it has its brave stands of leeks and the brassica bed is lush and green, the allotment does not look at its best in January.There are not yet any signs of spring on the way and every thing looks grey and downtrodden in the wet. 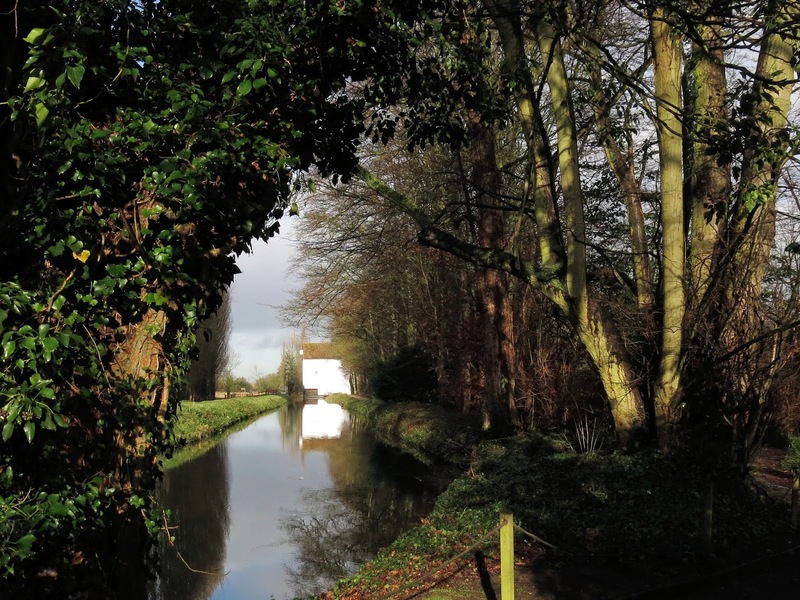 Time to raise the spirits with a visit to places which come into their own in the winter. 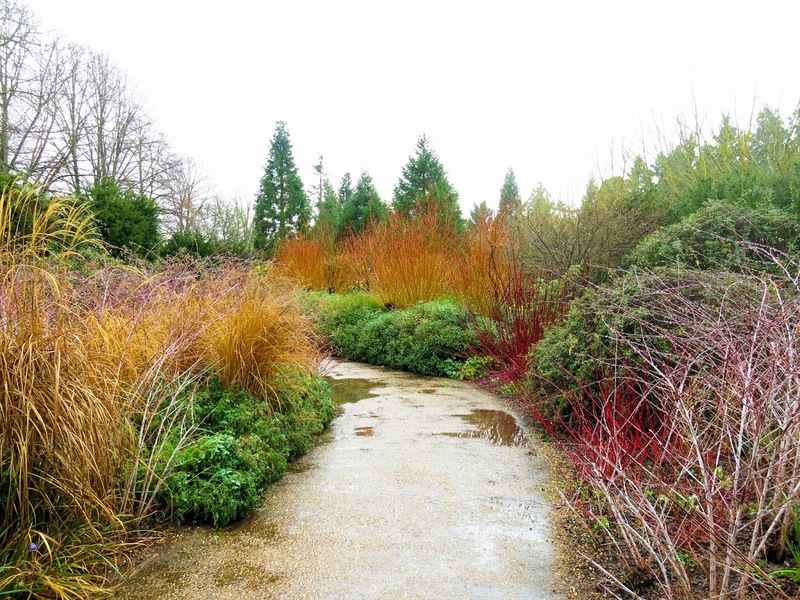 My own outside space might be looking sorry for itself, but the winter garden at the Cambridge University Botanic Garden (above) sings with colour at this time of year and the winter walk at Anglesey Abbey (below) is at its most spectacular, And happily they are just a few miles apart and easily visitable in the same day. 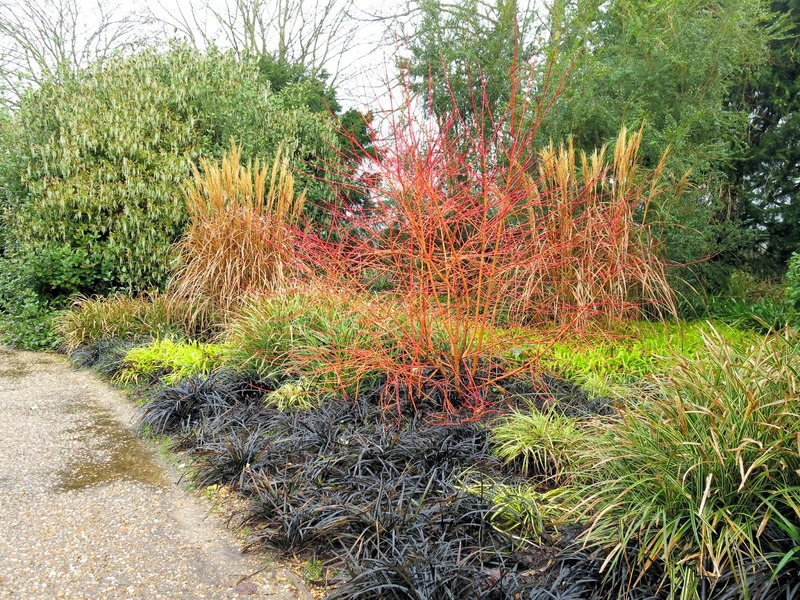 Relatively underplanting beneath Cornus sanguinea 'Midwinter Fire' hides the less colouful main stems. The silvery stems of Rubus thibetanus 'Silver Fern' make the beds look as though they have been sprinkled with frosting. 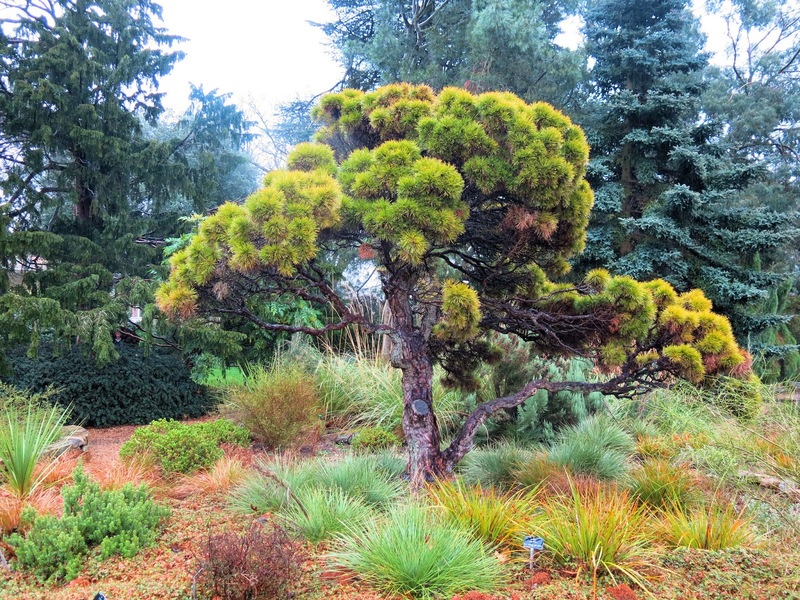 Contrats in form and colour with conifers and grasses at Cambridge University Botanic Garden. Open 10.00am-4.00pm January; 10.00am-5.00pm, February and March; 10.00am-6.00pm April to September. I do like a good radish, from the fast-growing salad and snacking varieties to the long cylindrical winter radishes. 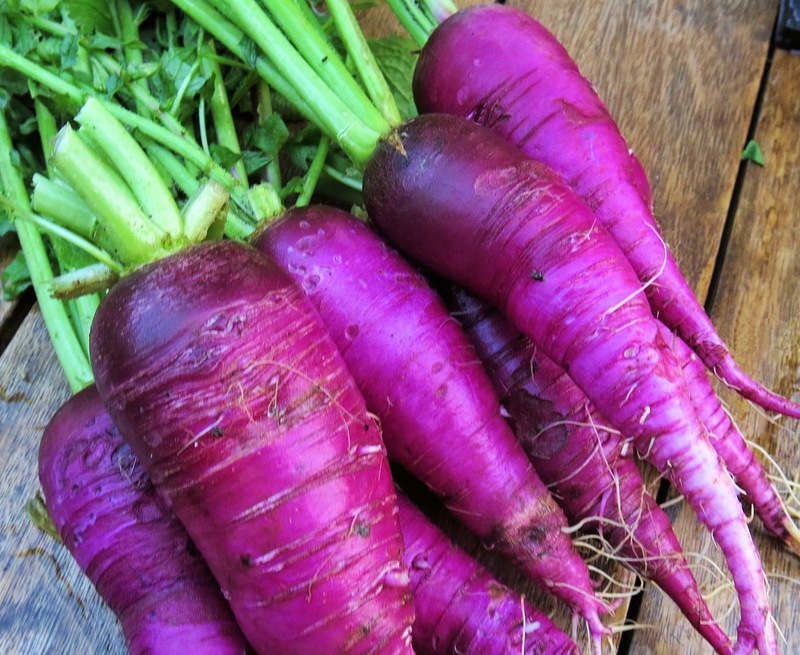 With Amethyst and Cherry Belle, I can throw some seeds in a row between the parsips in March and be eating crisp, juicy bite-sized radishes with ice-white flesh in April. The firmer textured Hilds Blauer Herbst Und Winter or the darker-skinned Violet de Gournay bring a mustard-and-pepper flavour to winter salads and roast vegetables. I was lucky enough to have dinner at Skye Gyngell's new restaurant Spring a month or so back. While Spring's setting in Somerset House is moons away from the dirt-floor greenhouse at Petersham Nurseries, the food is immediately recognisable as hers - many flavours and ingredients familiar from the Petersham Nurseries menu and from her books. And in a menu full of seasonal vegetables, I was introduced to the watermelon radish. Actually we misread the menu description and thought the dish contained both watermelon and radish, but no, this is a heritage variety of daikon or mooli radish. It's also known as Red Meat, but I can see why the restaurant would much prefer to use the watermelon name. The watermelon appellation comes from its colouring: when sliced, each disc is a striking fuchsia-pink in the middle with bright green skin. It has a clean, firm texture with a satisfyingly snappy crunch, not too mustardy in flavour. 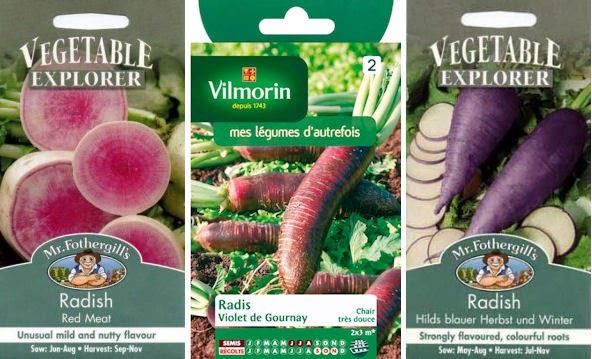 Indeed, according to seed supplier Mr Fothergills, the flavour becomes milder as the plants mature - the direct opposite of most radish varieties. Hilds Blauer Herbst und Winter - bright purple skin encloses bright white flesh. This is a radish to be sown direct in early summer and harvested in autumn in the UK, slightly later than Hilds Blauer Herbst und Winter which despite the name I have sown in spring and harvested in summer. I'm currently finding this variety very hard to obtain - Mr Fothergill seems to be out of stock and I'm hoping the watermelon radish will fill the gap.